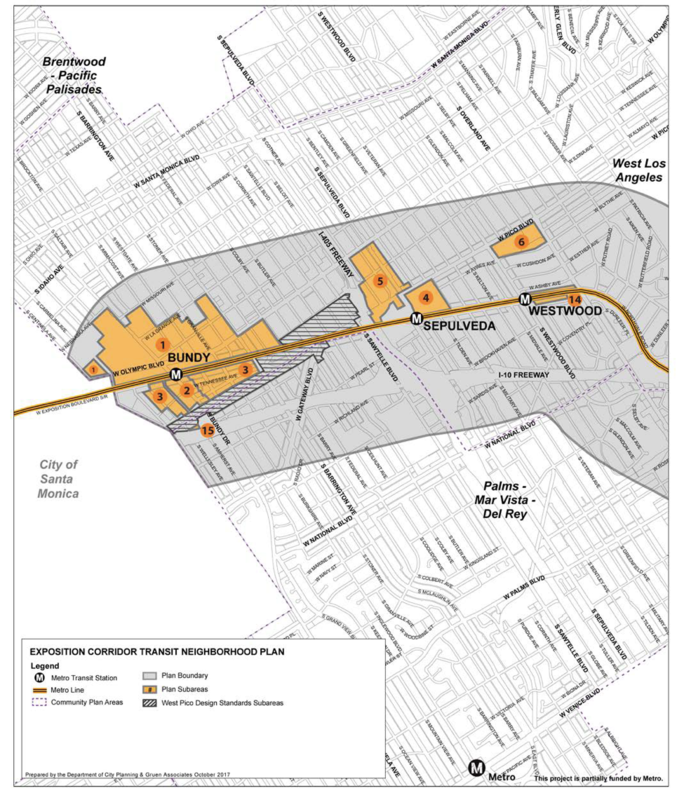 Prior to the Expo Line Phase 2 opening in 2016, the Los Angeles Department of City Planning (DCP) was awarded a Metro Planning Grant to develop the Exposition Corridor Transit Neighborhood Plan (Expo TNP) around five Expo Line transit stations, and it is soon up for approval by the LA City Council. The Metro Rail Exposition Line, which runs from Santa Monica to Downtown LA, is estimated to host close to 60,000 riders daily– the Expo TNP aims to increase this ridership. The current version of the Expo TNP directs $2 billion to transit oriented development (TOD) that supports increased access to transit use and decreased GHG emissions. As a specific plan, the Expo TNP will guide future plans in the area through new zoning and development standards, focused on neighborhoods within a 15-minute walk, or half mile, of the transit stations or corridors. It encourages the development of affordable housing and it also includes a Streetscape Plan to encourage urban greening, shelters, paving and other amenities that improve street use for all users, such as infrastructural investments in active transportation. Research by the Center for Neighborhood Technology shows that creating and preserving affordable housing near transit is a highly effective climate protection strategy. 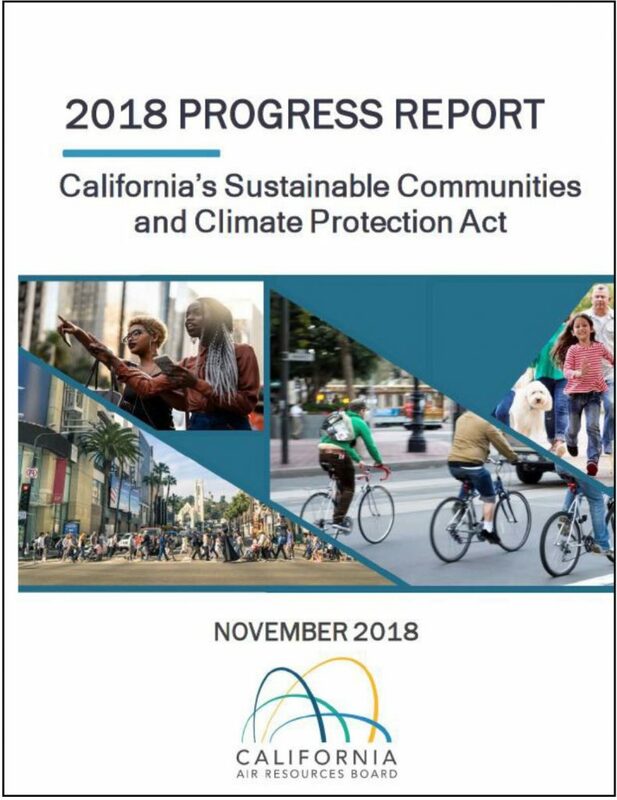 Along with the Final Environmental Impact Report (EIR), the plan will be presented to the LA City Planning and Land Use Management (PLUM) committee for approval in the near term. Before the Expo TNP is conferred by the committee, we encourage you to send a letter of support to LA City Council Chair, Jose Huizar (councilmember.huizar@lacity.org), and Councilmembers Koretz (paul.koretz@lacity.org) and Bonin (councilmember.bonin@lacity.org), to promote these TOD efforts. Please find a sample letter of support for the Expo Line TNP here, and feel free to use the language in your letter or customize it as you see fit. For more information on the Expo TNP, please contact Nick Burns at nkburns3@gmail.com.